There are countless facts and figures that state the Montreal Canadiens are legitimate Stanley Cup contenders if not outright favorites right now. Entering Monday night’s action, they lead the league in goals scored (35), goals against (12) and save percentage (.958;), with Carey Price leading the league in all four major categories among starting goalies. Their special teams are just as effective, with a top-ranked penalty-killing unit (90.9 percent) and a dare-I-say actually impressive power play success rate (22.9 percent, eighth in the league). However, perhaps the most significant stat behind the Canadiens’ success so far is their winning percentage, 100 percent over nine games. Their nine regulation wins in nine games, already a new NHL record, simply cannot be overstated. To put their six-point lead over the Atlantic Division’s second-place Tampa Bay Lightning in perspective, in between the two most recent lockouts only three of 32 teams at least four points out of a playoff spot by November 1 were able to reach the postseason, as reported by Elliotte Friedman. So, adapting the empirical evidence to the situation at hand, the thought process, however flawed it may be, argues the following: If the Habs hold onto that lead before the calendar page flips over, they’re essentially guaranteed to win the division for a second consecutive year. They also hold a four-point lead with one game in hand on the second-place (entire league) New York Rangers, fyi. So, Presidents’ Trophy here we come! Needless to say, that’s not how these things work. The quality of competition up near the top of the standings is such that a six-point lead just isn’t as safe as a four-point one owned by a bubble team, loser point or not. So, if it’s easy enough to conclude the Presidents’ Trophy is far from assured, a championship should be much more so, considering the four grueling playoff rounds that would precede one. And this is all ignoring how the Habs’ possession stats have fallen off a cliff in recent games are peaking against the Detroit Red Wings. In that game (win No. 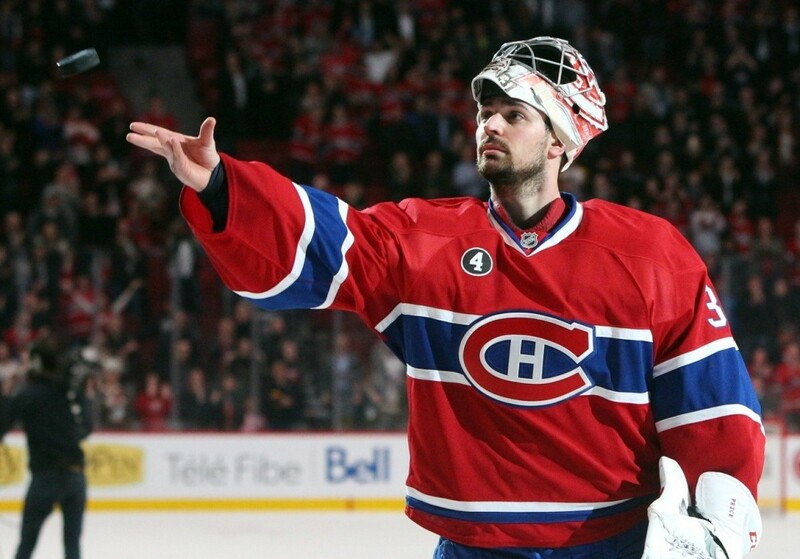 6), the Habs outshot the Wings 41-22. They’ve been outshot in the three games since, more and more each time, and 126-89 overall, including a 27-52 showing against the Maple Leafs, getting outperformed in that one aspect of the game for the second time this season against the hapless Leafs. 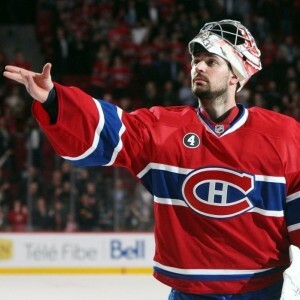 The Canadiens obviously won that last game against Toronto 5-3. They also beat the Buffalo Sabres 7-2 the night before. So, ultimately, it doesn’t matter. Goals are more important than shots. There’s no debating that. However, could it be, that, maybe, just maybe, instead of outplaying both the Leafs and Sabres, they more accurately outplayed two mediocre goalies, albeit time and again… and again in the case of Chad Johnson? Neither the 1993-94 Maple Leafs or 2006-07 Sabres who own the record currently so much as made it to the Stanley Cup Final. And the 1975-76 Sabres, who previously held the record for the most regulation wins to open a season? They lost in the second round. So a win (or loss) tomorrow night against the Vancouver Canucks (10 pm ET) doesn’t mean anything. Remember that. It’s just one game. There are 72 left in the regular season. Not to mention the however-many games that end up making up what is shaping up to be a particularly lengthy playoff run. That’s the most important stat of all. There’s a lot more work to be done.